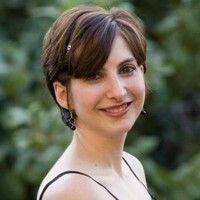 Marilyn is a freelance writer, storyteller and Co-founder of Writing Pad. She has taught writing for twelve years, including classes at Pixar, Walt Disney Studios, The Writing Salon, and the Southern California Writers Conference. Her essays, stories, and op-ed’s have been published in the NY Times, Salon.com (1), Salon.com (2), Narratively, The Frisky, and the San Francisco Chronicle. Her poetry has been published in Pearl, Squaw Valley Review, California Quarterly, Karamu, and The Great American Poetry Show. She has written articles on love and dating for Match.com and is currently working on a memoir about her experiences as a swing dancer and a collection of poems. Marilyn has a BA in English and Writing from University of Illinois at Urbana Champaign and a Master’s Degree from Boston University.